China Manufacturer with main products:We have 5 group products and services so far , which include Large capacity battery cells , Medium and small capacity battery cells , high-discharge-rate battery cells , PCM and PMS , Battery Packing. Lithium ion polymer batteries are characterized by their high energy density, customized appearance, small size, light weight, good safety, and flexible design. They are widely used in wearable products, smart phones, power bank, laptops, and tablets, etc. 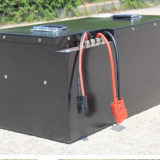 Our battery products cover 4.2V, 4.35V, 4.4V voltage system, the maximum capacity density can reach 720Wh/L so far, remaining capacity can reach more than 80% after 1500 cycles. To meet the market need for smaller and thinner cells with better run times, AUCOPO is developing breakthrough energy densities, to meet the design requirements of smaller size and larger capacity for the new customer device markets. For example, wearables and IOT. 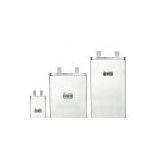 With the features incuding excellent power density, low internal resistance and long cycle life, AUCOPO High Rate Li ion polymer cells enable our customers to make lighter, more powerful and extremely durable devices. Through years of research on fast charge battery technology, AUCOPO has developed fast charge batteries under the without compromising long cycle life and high safety standards. The charging speed is seven times faster than conventional standard cells. AUCOPO custom shaped batteries can be small and thin, with high energy density. Battery shapes are enabled by using our advanced stacking process, so that batteries can be adapted to the internal shape spaces of customer devices. AddressRm 1512, Flat B, Hi-tech & Innovation Plaza, Tian An,Cyberpark, Futian District, Shenzhen, PR.China.